We're putting the band back together. Developer Harmonix announced this week that its long-dormant Rock Band music simulation franchise is due for a comeback tour later this year on the Xbox One and PlayStation 4. Notably, Rock Band 4 will support more than 2,000 DLC tracks released for previous series entries over the last several years. 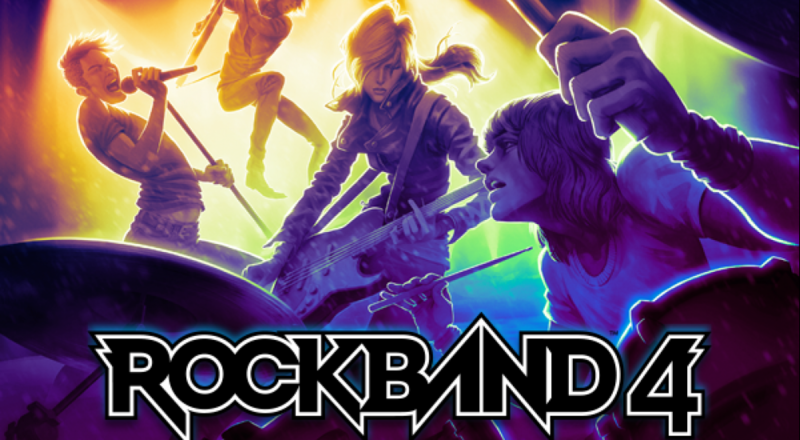 While all DLC tracks will not be available for Rock Band 4 initially, Harmonix plans to roll out batches of legacy DLC in the weeks after the game's launch. Hardware manufacturer Mad Catz is on board to produce updated instrument peripherals for Sony and Microsoft's new-generation platforms, including a "Band In A Box" bundle that collects a copy of the game, a wireless Fender Stratocaster guitar controller, a wireless drum kit, and a microphone. If you already own an arsenal of plastic instruments for last-generation platforms, fear not - Ars Technica reports that Harmonix is working on a compatibility solution for veteran players. Rock Band introduced a generation of players to simulated band gameplay in 2007, featuring playable guitar, bass, drum, and vocal tracks for its large selection of licensed music. Players could team up in a local co-op mode and go on tour with their bandmates, rocking virtual arenas worldwide. Rock Band 2 improved upon the formula with online co-op and other additions in 2008, and Rock Band 3 and the single-player spinoff Rock Band Blitz were the last we'd seen of the series until today's announcement. Unfortunately, the keyboards and Pro Guitar controllers introduced in Rock Band 3 will not make the jump to Xbox One and PS4, as Rock Band 4 will ditch support for both peripherals and their related gameplay modes. IGN reports that multi-mic vocal harmony tracks featured in Rock Band 3 will still be supported in Rock Band 4. For me, personally, I can't wait to see my Rock Band 3 supergroup Chaotic Sausage Lodge back in action. Pull those instruments out of storage, guys. It's time to rock. Page created in 0.4118 seconds.